Here’s one of the cards we created at the Simply Scored Class-Part 2. 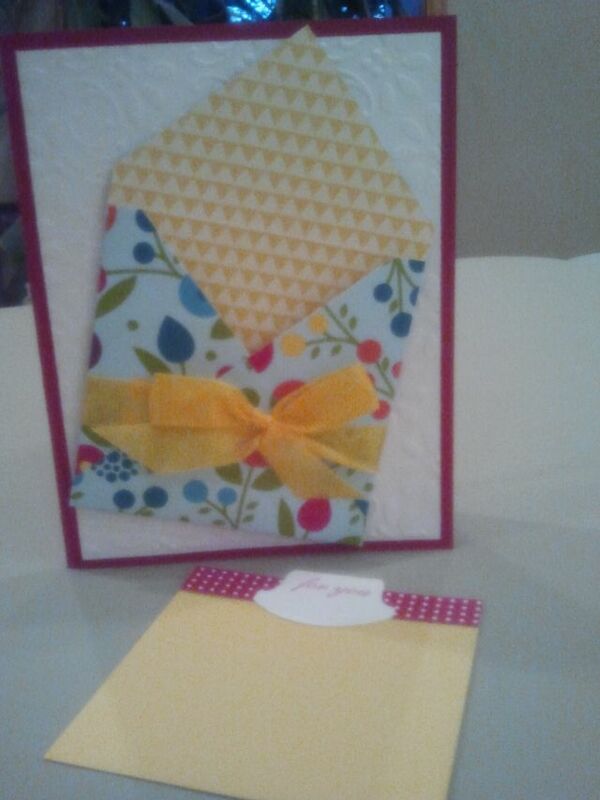 Using the Simply Scored Tool and Diagonal plate we created this darling mini envelope pocket. 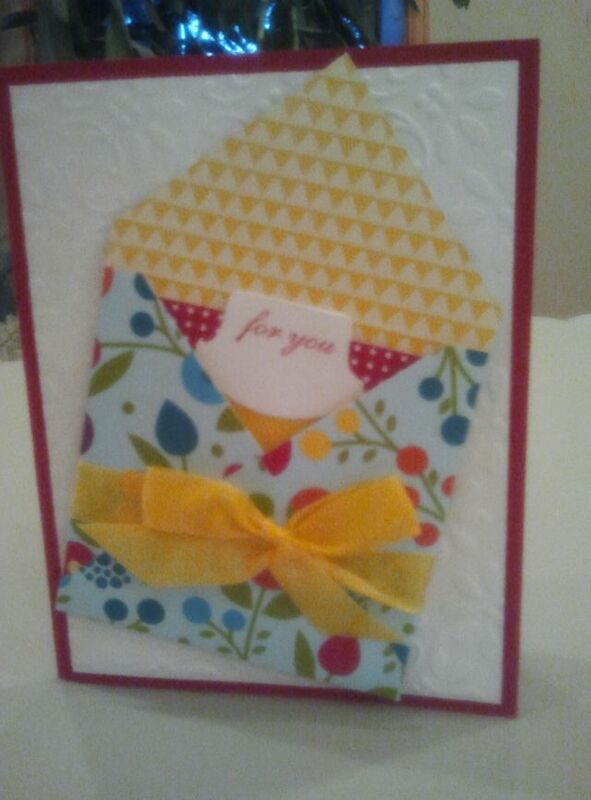 It was super quick and is a great focal point for this card! Add in a little Daffodil Delight Seam Binding, embossing folder, and round tab punch (soon to be retired!) and voila–you are ready to amaze your friends and coworkers 🙂 Notice how the little 3×3 notecard pulls out? Love it! Cardstock: Real Red, Whisper White, Daffodil Delight Cardstock; Summer Smooches DSP; Daffodil Delight Seam Binding; Big Shot, Finial Press Embossing Folder, Dimensionals, Clearly For You Stamp Set.